Even though the theme comes with a default set of colours that you see in this demo, you still have unlimited colours to make changes. To change the color you need to use the Theme Customizer, it is very quick and easy to use, and you also get to see the changes in the preview window before you save it. Just navigate to WordPress Admin Panel -> Appearance -> Customize. 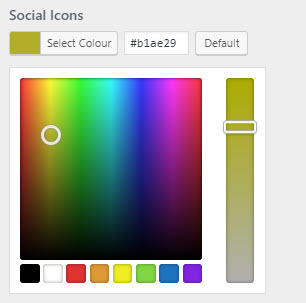 Open the Colours tab and select area where you want change colors.